As I have been writing blogs continuously for more than 300 times now, more and more people have started reading my blogs. So it becomes a responsibility to write quality blogs. Now that I have taken up the challenge of completing 72 blogs in next 9 days, it's an added pressure to squeeze out quality in each of these blogs. 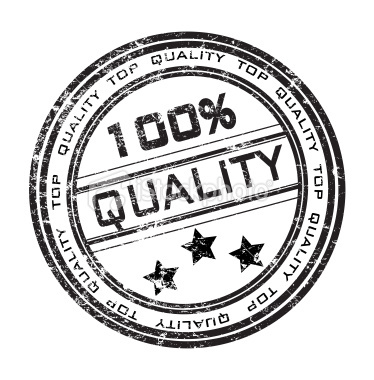 Without quality, any amount of quantity doesn't have any value. So it is very important for me to assure quality with every new blog of mine. Same is the case with every kind of work that we repeat day after day. Most of the people out there feel that they needn't give an extra look at the routine work that they do everyday, be it the office work or work at home. It sets in the subconscious mind that no matter how well you do it, you still have to do the same the next day. This is the reason why most people don't enjoy their work and as a result do not reap the complete benefits out of it. They halt their own personl progress. A simple example of consistent quality is that of our Litter Master, Sachin Tendulkar. He has played cricket for more than 2 decades now. Still he is the no.1 batsman that any new aspirant in cricket would look up to because he tries his best to assure quality cricket in every new match of his.